for two days now we have a working fusor, build at school for a science project. Working with basic equipment we didn't think it was possible but we did it. First trials were outstanding and the fusion seemed rather good. Having not changed a thing overnight, and turning it on again in the morning to film the proces for a presentation, it didn't look that great anymore. A lot of haze in the chamber, not a clear glowing grid/plasma, and a unexplainable glow at the vacuum point. I hope you guys can help us out a bit, within our capabilities and knowledge. 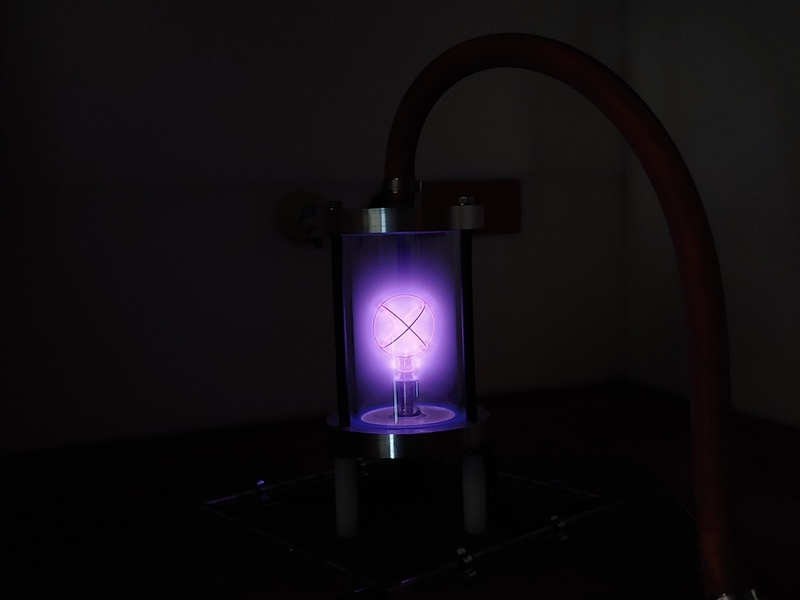 That last photo looks very much like a real fusor - color looks correct and if you are in the 5 - 15 micron range (where most fusors operate) one gets a uniform plasma discharge essentially like that in their chamber. I can detect jets as well. Not sure what you think it should look like. If the gauge in the photo is your vacuum gauge, You really have no way to read your vacuum. For a basic demo unit this appears to be fairly spot on. But as Richard stated, that vacuum gauge won't provide much of an accurate reading. Research and install a DV-6M (or similar) thermocouple gauge. Based on the poisser I think you are closer to 30-50 microns, possibly a tad higher. Thank you for the reply. 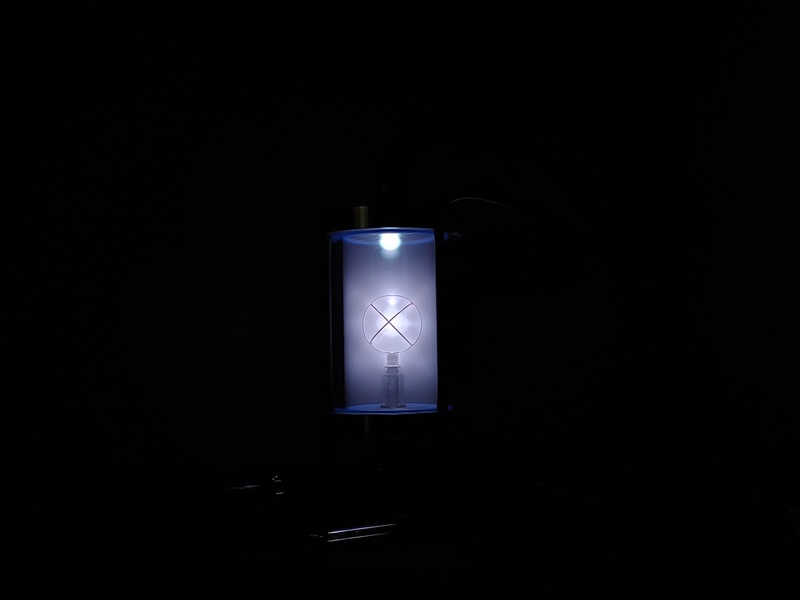 We thought it should look more like the first picture, but then with plasma. We were put of by the haze that was present during last days run. Good to know we got it right. We have to present it today. We have tested the vacuum in a differen setting with a acurate digital gauge. 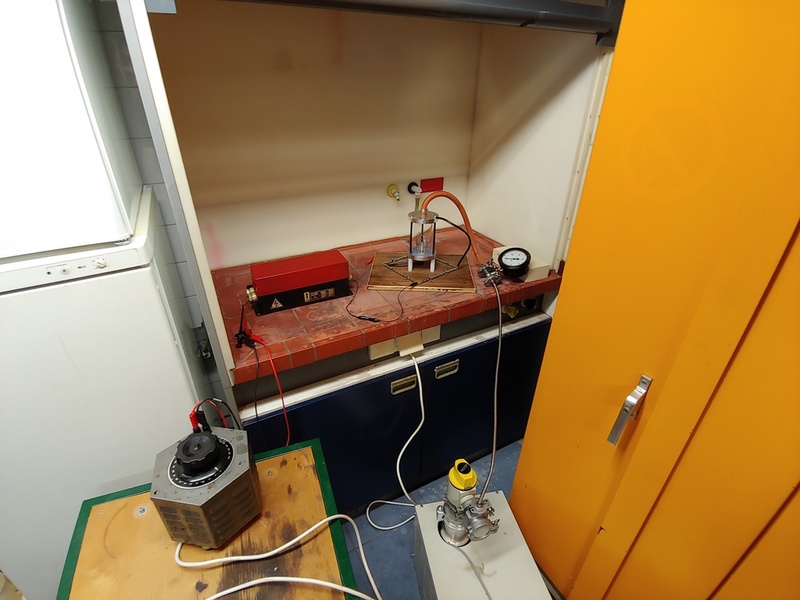 Didn´t get to use that during the tests, so for a global view on the vacuum we put that analog meter in the system. As i says before to Richard, we have tested the vacuum with a acurate digital gauge. Just couldn´t use that one during the runs (that gauge is part of a bigger, not mobile, vacuum setup). But it is good to know the fusor appears to function properly.